Tuckers Solicitors is the UK’s leading law firm specialising in criminal law, civil liberties and regulatory proceedings. 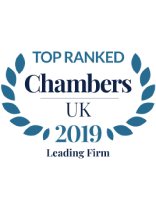 Established in 1980, the firm has over 150 lawyers and numerous offices in Greater London, Greater Manchester, West Midlands, Kent, Sussex, Staffordshire and Somerset, which are staffed 24 hours a day, 365 days a year, ensuring the delivery of immediate expert legal advice and representation. The Private Client Department represents High Net Worth Individuals at all stages of the criminal justice process and Tuckers has experienced police station representatives, solicitors and an advocacy team also working under public funding arrangements (legal aid). The firm acts for over 15,000 clients a year, and is instructed by an impressive array of clients including public figures, high net worth individuals, business directors, government departments and corporate organisations. Known as the premier criminal defence firm, our lawyers defend more suspects held in police custody than any other law firm in England and Wales; and their daily experience at the Police Stations, Magistrates’ Courts, Crown Courts and Youth Courts is second to none. A robust defence for anyone is a fundamental human right, and our lawyers are known for tirelessly fighting to establish our clients’ innocence until proven guilty and ensuring our clients’ best interests are served. Our lawyers are known for their strategic expertise, outstanding client service and their discretion. Our lawyers include the former Chairman of the Criminal Law Solicitors’ Association, former President of the Manchester Law Society and former President of the London Criminal Courts Solicitors’ Association. Furthermore, many have been nominated for and won numerous accolades and awards, including, this year, a special achievement award for one of our Partners from the LAPG, the Legal Aid Lawyer of the Year, the Justice Human Rights Lawyer of the Year, The Law Society’s Solicitor of the Year Award and the Legal Executive of the Year. We are an equal opportunities employer and conduct all our relationships with our suppliers and our clients in accordance with our Equality & Diversity Policy.